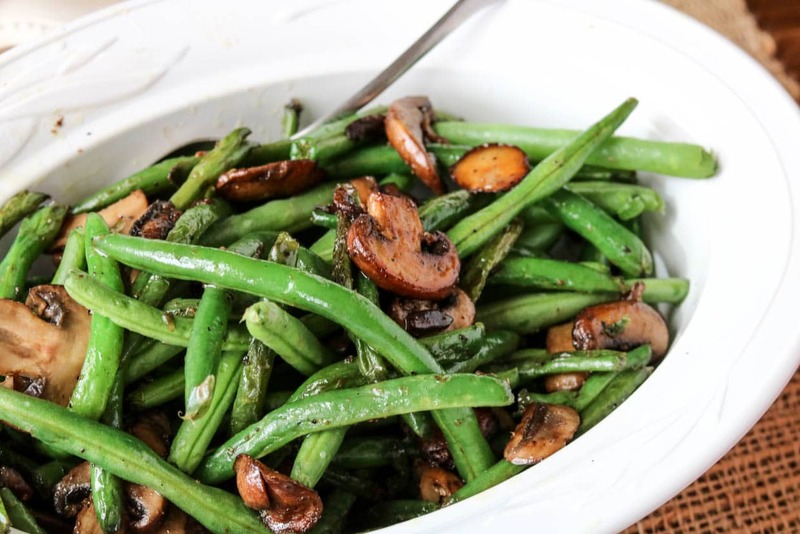 These sautéed green beans & mushrooms are a simple gluten and dairy-free side dish. They’re perfect a weeknight dinner at home or for a family holiday dinner. 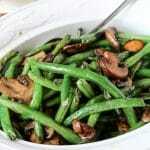 Sautéed green beans and mushrooms make the perfect gluten-free vegetable side dish for dinner. To make this recipe dairy-free, it uses ghee instead of butter. 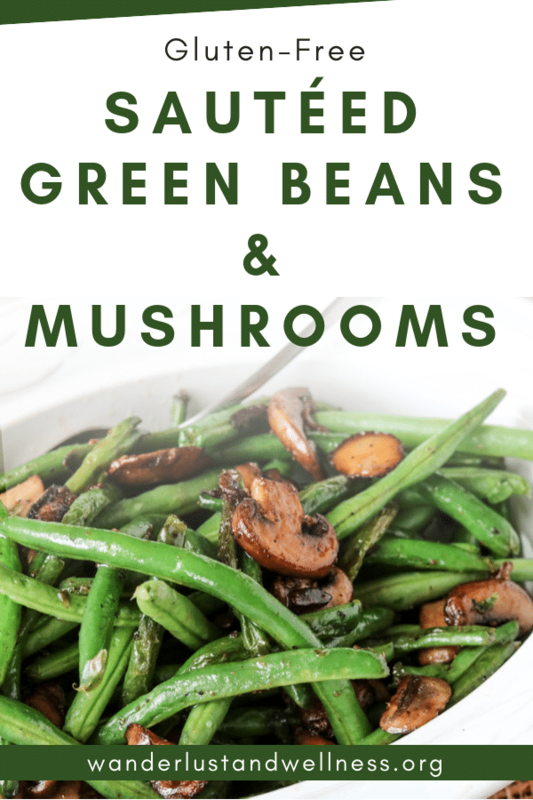 I used to avoid eating fresh green beans because of the texture, and because my only experience with them was a poorly undercooked version at restaurants. Seriously, they need to get it together because when you cook these lovelies correctly they are so good. They’re SO much better than their canned counterpart. My husband loves mushrooms, he could eat just a plate full of sautéed mushrooms so I wanted to incorporate baby Portobello mushrooms into this recipe. Add in some salt, pepper, and a little bit of ginger and you’ll never turn back to canned green beans again. Originally I wanted to roast these but, as I previously mentioned, any excuse to sauté veggies in ghee is a good excuse in my book. The key to cooking fresh green beans is to not overcook them while also not undercooking them. Keep the heat at a steady medium heat and stir frequently to get an even sauté on the beans. The following are affiliate links. We are a participant in the Amazon Services LLC Associate Program, an affiliate advertising program designed to provide a means for us to earn fees by linking to Amazon.com and affiliated sites. Thank you so much for being a part of Wanderlust and Wellness. 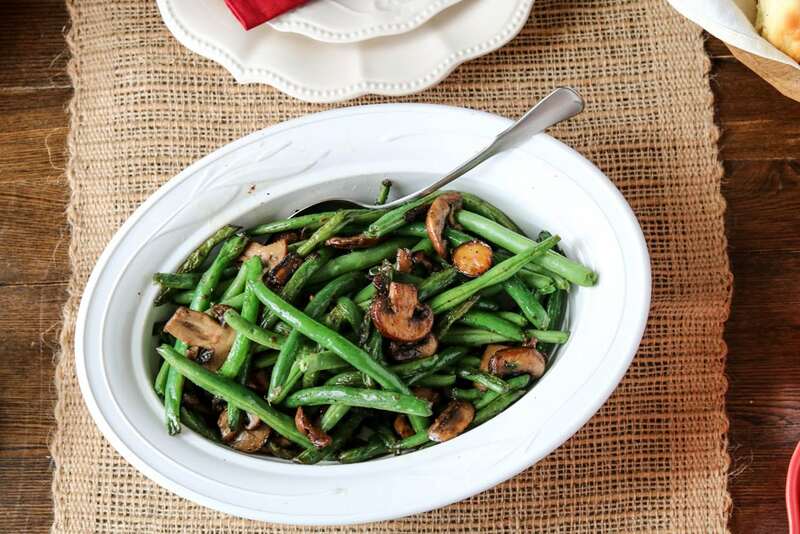 Enjoy these other gluten-free side dish recipes! In a large skillet, melt ghee over medium heat. Add in garlic and sauté for about a minute. Add in green beans and spices, stir to combine. Sauté for about 30 minutes, or until green beans have softened.